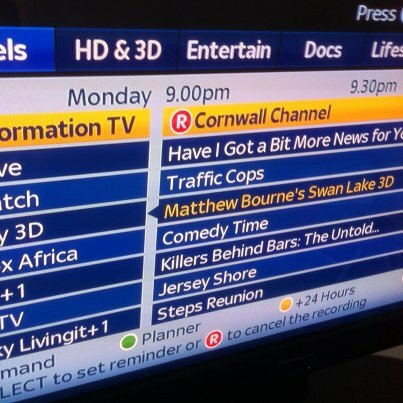 (Cornwall, Wadebridge) Alive Music announces brand new advert now being shown on the Cornwall Channel sky 212. Now all of Cornwall can find out more about Alive Music. We are hoping that this will bring more profile and awareness about our recording studios. The Alive Music Studios are the only full time commercial recording studios in Cornwall, comprising of 2 recording studios, function room (available for hire for parties and other event), licensed bar with low cost prices to suit everyone and the its the only late bar in Wadebridge town. We also have popular fast growing music shop with limited stock in-house, but plenty stock availability at the hub. We are able to order almost anything you need with all top and popular brands available on demand. Come and see us and check out our competitive and great quality products. We are open late every Thursday night for our popular Open Decks night for DJs, which we have been running since 2009 and boast of DJs coming from the local area and from as far as Penzance and Plymouth. Open every Thursday from 8pm till 1am, make sure you get in early though as last orders is at 12am, but the music still goes on till 1am. Everybody and all DJs welcome as this is a public night and the Alive Music studio bar is a public, no invite needed!! For more information about Alive Music call us on telephone 0844-202-6000 or visit anytime Mon-Fri from 12pm-9pm. Yes! We are open all the time.